The book is a summary of the Book of Luke, who was one of the followers of Jesus Christ. He was an apostle, a physician and a historian. It also takes into account the birth, growth and ministry of Jesus Christ as well as the circumstances surrounding his death and resurrection. 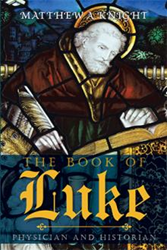 Through the publication of “The Book of Luke: Physician and Historian,” Knight encourages readers to read what the Bible actually says about the Gospel of Luke to increase their knowledge about it and its relevance to their lives. Matthew A Knight lives in retirement at Summerset Retirement Village in Dunedin, New Zealand. He studied at the University of Otago, graduating with a bachelor’s degree in zoology and microbiology in 1965. He did a postgraduate course in English, history and political science in 1966. He studied part time with the Bible College of New Zealand (now Laidlaw College) graduating in 1987 with a diploma of Christian studies. He has always had an interest in history, but more recently in understanding and interpreting God’s word in the Bible.